PLOT: Estranged brothers Francis, Peter and Jack reunite for a train trip across India. The siblings have not spoken in over a year, ever since their father passed away. Francis is recovering from a motorcycle accident, Peter cannot cope with his wife’s pregnancy, and Jack cannot get over his ex-lover. The brothers fall into old patterns of behavior as Francis reveals the real reason for the reunion: to visit their mother in a Himalayan convent. The sequel to Anderson’s 13 minute short Hotel Chevalier (see the bottom of this article to view that film), The Darjeeling Limited tells the tale of three brothers with very different lives. Francis is successful in business but disfigured after a motorbike accident, Peter is a born pessimist who’s wife is pregnant (he never wanted kids as he always expected to get divorced and that would make it messy!) and Jack is obsessed with the ex-lover that he is desperate to leave behind. In an attempt to find themselves and each other, the siblings set off across india by train planning to visit as many temples and spiritual sites as possible. Being a Wes Anderson comedy, things don’t quite go to plan. 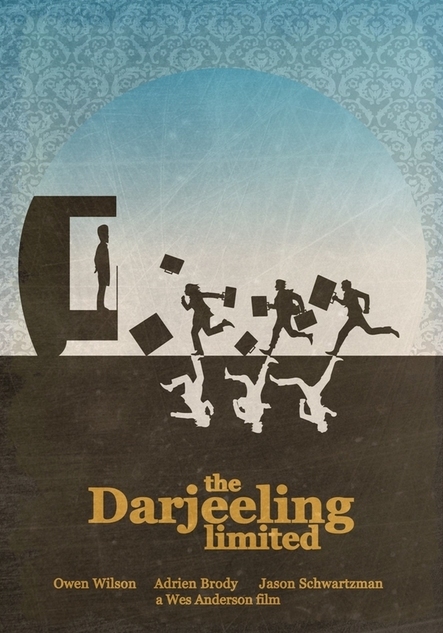 The first thing that hit me about Darjeeling is that it is beautifully shot and captures the romance of india (whilst avoiding, but not ignoring the poverty). Anderson’s style is usually to make everything so colourised and perfect that even the location shots look like they are on a set. Not so here as the wonderful Indian countryside is shown with a sheen, but not the usual artificial type. This is a film that has far more in common with Anderson’s debut Bottle Rocket (which Owen Wilson co-wrote and was starred in) and his latest The Grand Budapest Hotel, than his more offbeat films (Rushmore, Moonrise Kingdom etc). In fact, if you replace India for Texas and a search for enlightenment for a search for a big score, then you basically have Bottle Rocket right there. The film is a charming tale that doesn’t resort to tricks or gimmicks to get us to like it’s characters, just good writing, gentle humour and a wonderful setting. Classing it alongside films like The Best Marigold Hotel probably does it a disservice, but I would suggest that this is Anderson’s most accessible film and probably the only one of his movies that I would recommend without qualifying it with ‘do you like Wes Anderson?’. A charming tale that doesn’t resort to tricks or gimmicks to get us to like it’s characters, just good writing, gentle humour and a wonderful setting. Anderson’s most accessible film to date.